Look for the launch of our new 8th/9th Step App in Spring 2019! Our mission statement is to "stay sober and help another alcoholic." Our apps are downloaded in over 35+ countries over 1500 times each and every month. 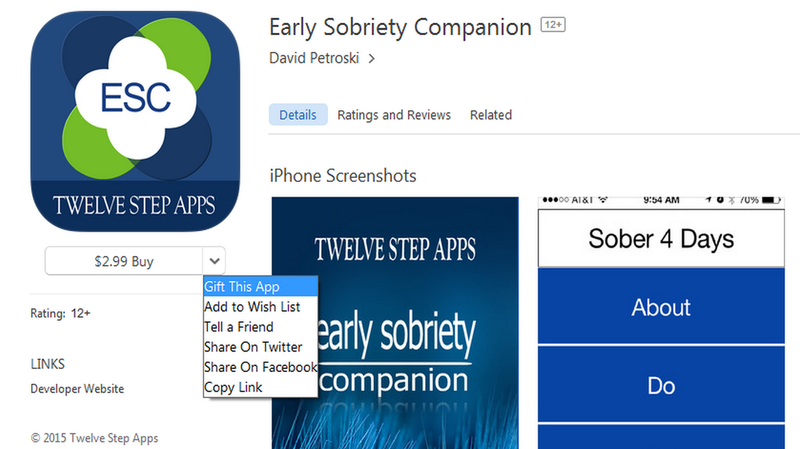 Twelve Step Apps creates and designs apps to help members with their 12 Step AA program of recovery. Our apps are designed by members for members. Any of our paid apps can be gifted by you to a sponsee or anyone else in your life who may benefit from the app.